It's been a while since it was just me, my camera and my tripod. My parents took the latest outfit photos and I can't be thankful enough, they could've just said no. So, thanks mum and dad! I also just want to quickly mention the fact that blogger has been struggling with uploading my photos in a high quality. They somehow look really ugly and pixelated, not cool. 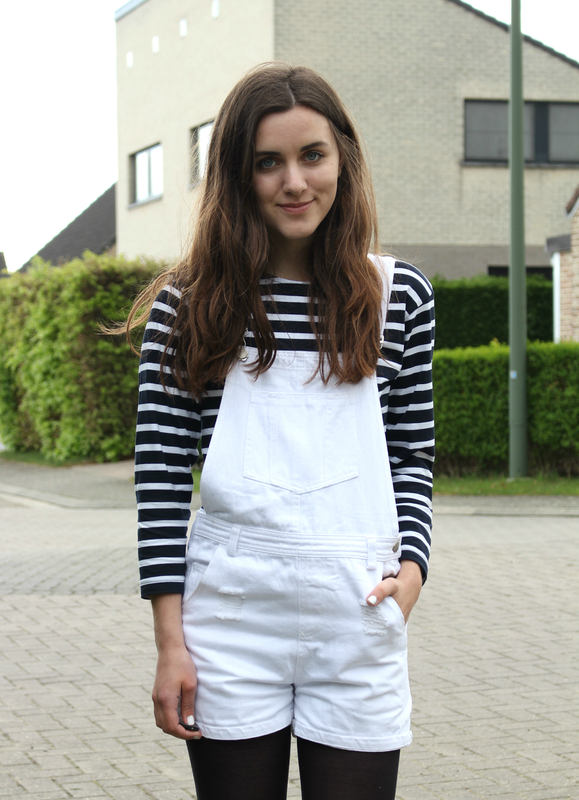 Anyway, here I am again, wearing my oh so comfy dungarees and a striped shirt, hence the title of the post, so original, aren't I? Haha. I've just been enjoying simple and comfy outfits lately. 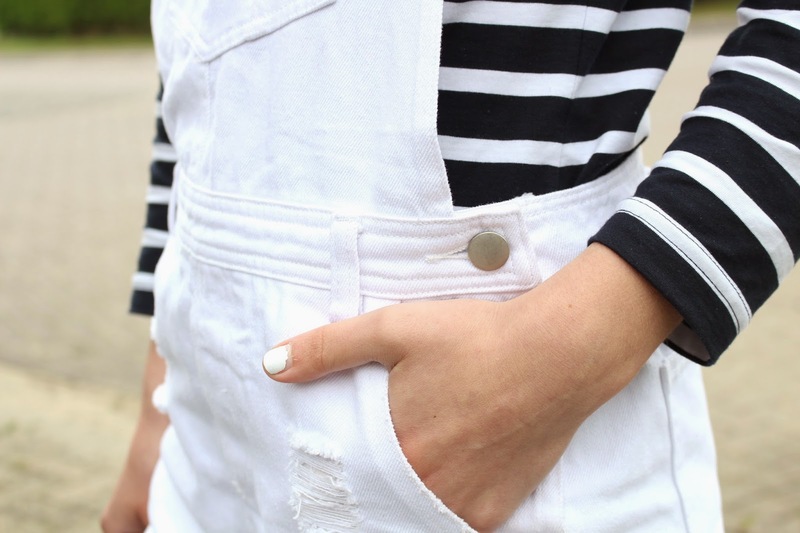 I'm also totally into the stripes-trend right now although I only have one striped item in my wardrobe, oops. Anyway, I hope you enjoy this outfit and have a nice day! 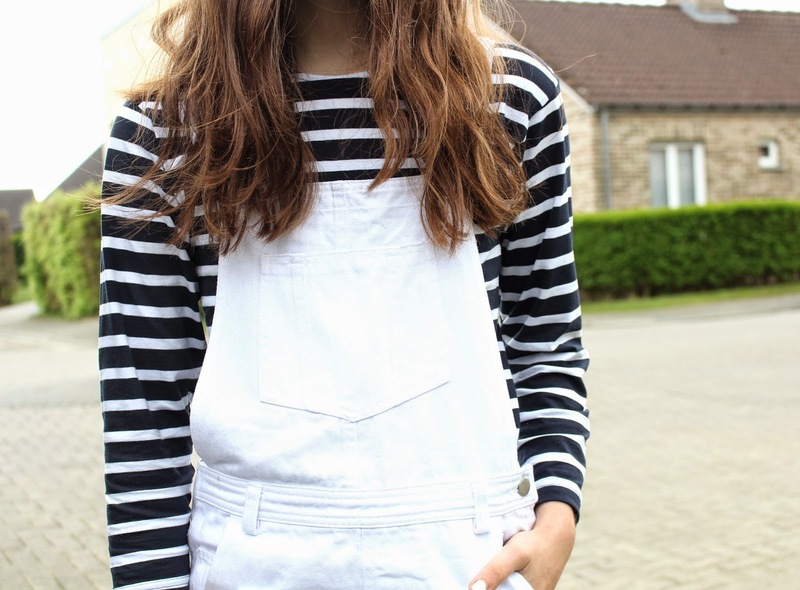 Such an adorable, comfy outfit! Loving your shoes, too!